Move in ready Oak Park Ranch style home for sale. Don&apos;t miss out on this incredibly clean home featuring updated kitchen with oak cabinetry and a eat in bar. Newer windows 90% efficient furnace and a partially finished basement. The living area is an open concept making it perfect for large family gatherings or quiet evenings. As you walk down the hallway notice the built in desk which will work great as a "drop zone", recharging station, or a great place to do homework. The bedrooms are nice size with upper access to the closet space making valuable room for you the new homeowner. One of the best things about this property is how well maintained and clean it is. You will appreciate a home that has truly been loved by the previous owner. Walking distance to neighborhood schools, parks, and shopping. 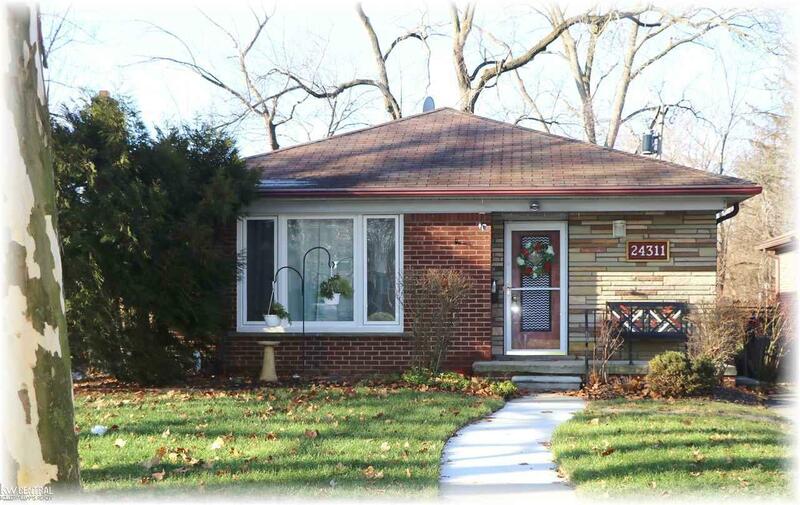 Located near the Detroit Zoo and on the border of Huntington Woods and Ferndale. So enjoy all the amenities without the high cost and taxes of the neighboring cities.